This lovely photo features my younger sister Marianne (on the right) with our cousin Lise on the day of their First Holy Communion. 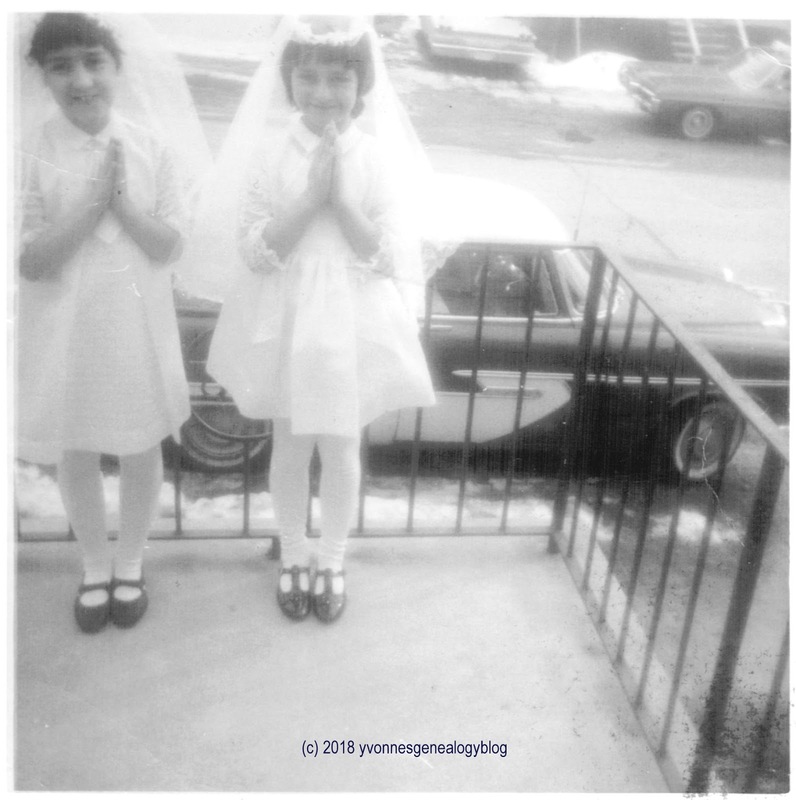 They attended the same school (St-Joseph) and were in the same grade (2), so they (and their classmates) made their First Communion on the same occasion at Notre-Dame de Lourdes church in Timmins, Ontario. I don’t know the exact date, but it’s spring, possibly April, of 1968; snow can be seen on the sidewalks. Marianne and Lise pose piously on the front deck of our Belair grandfather’s apartment on Commercial Avenue. My mother Jacqueline probably took the photo. I don’t have any memories of this event, so I’m glad this picture exists and records that special day in my sister’s and cousin’s lives.